When it comes to making a purchase, there’s nothing worse than getting all the way through the buying process, only to be stung by hidden fees and extra costs right when it comes to paying. We hate this just as much as you do, which is why we ensure that we do things differently here at Bespoke Door Installations. All of the doors�that we provide pay here at Bespoke Door Installations include free fitting and surveying as part of the cost, so you pay exactly what you see on the screen. 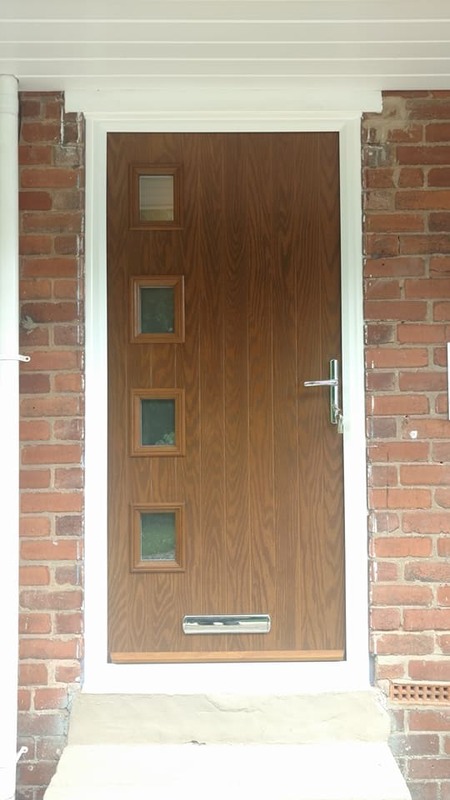 This is exactly what a homeowner in Warsop recently did, when they chose us to provide their brand new bespoke door. 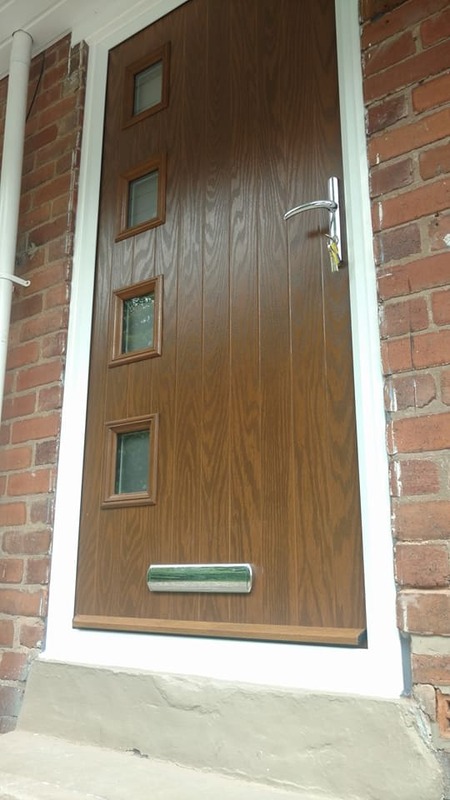 Using our fantastic “design a door” tool, they designed their brand new front door to their very own specification, and then our team fitted the composite door in Warsop. 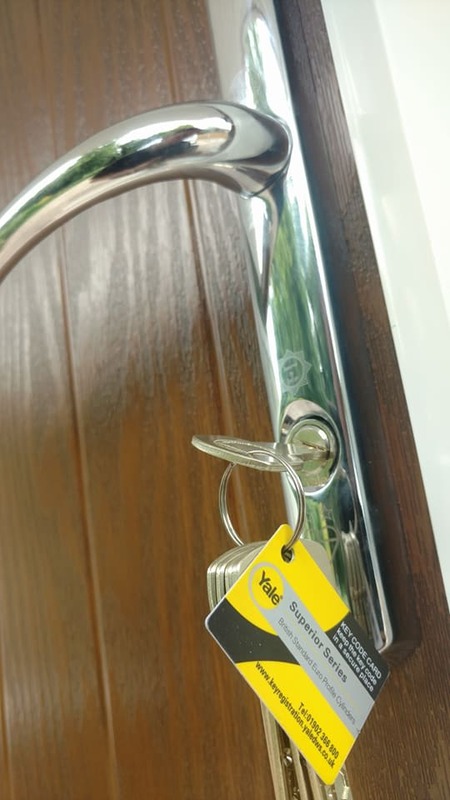 The door itself was a gorgeous golden oak colour, and featured 4 window, attractive silver handle and letterbox, and an extremely secure Yale lock system, to guarantee complete security for your home and your family. It also came with our very own Bespoke Doors �500 guarantee, which means if your door is even broken during a break in, we will provide you with �500 cashback. Every door we provide is fitted for free, and we also take your old door off of your hands, disposing of it for you so that you don’t have to. See below for a selection photos of the fantastic new composite door in Warsop. 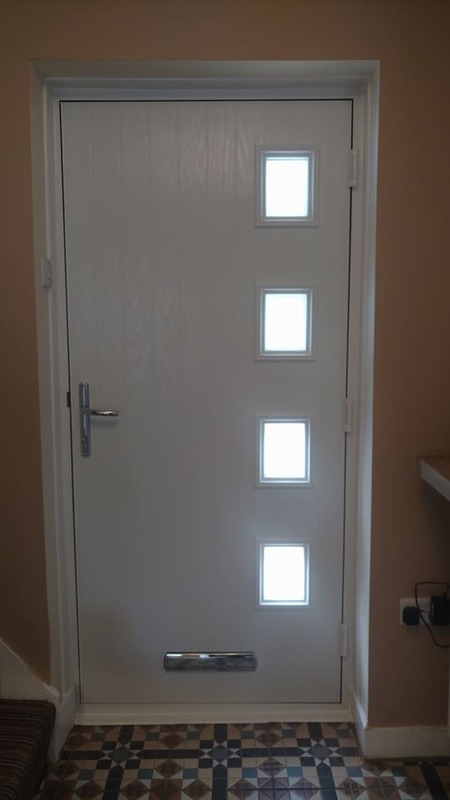 For more information regarding the genuine door stop doors fitted in Warsop by our team, please don�t hesitate to give us a call today on 01623 325000, or why not give our�design a door�tool a go and�create your very own bespoke door.